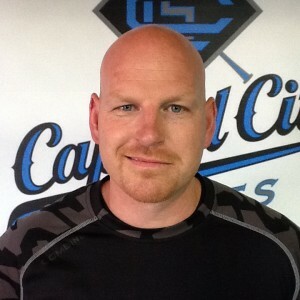 Mike Lovely is the owner of Lovely Strength and Conditioning. Mike is a Certified Strength and Conditioning Specialist. Mike graduated from High School in 1996. He pursued his education and graduated from Corban University in 2008 with a Bachelors Degree in Human Performance/Physical Education. Early on Mike had a strong passion for developing athleticism, coaching and Kids. In 2006, while still a sophomore at Corban, Mike began training the University’s softball team. After four years in that role, Mike was asked to be the Head Strength Coach for all 13 teams at Corban University. Mike resigned in 2015 from Corban University. 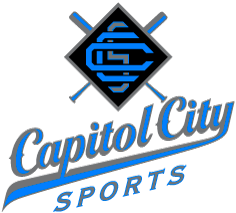 He comes to Capitol City Sports with a desire for arm care for both underhand and overhand athletes and their asymmetrical patterns and movement. Hitters can expect isolation of key muscle groups to maximize bat speed. Mike resides Salem Oregon with his family. Group Strength, Conditioning, Speed and Agility. Mike offers multiple options for his athletes. Clients can choose to isolate muscle groups for specific sports. The workout consists of foundational movements specific to sports with a strong focus on proper technique. The workout becomes progressively more challenging once basic techniques have been mastered. Injury Reduction: Perform corrective exersizes for muscular imbalances, balance & stabilization. Mobility: Self message (foam rolling), muscle stretching, and muscle activation. Dynamic Warm Up: Slow full range motion movement, skipping drills and quick feet. Biomechanics of Speed: Multi-directional acceleration & deceleration, running mechanics and footwork. Explosive Power: Plyometrics, Olympic Lifting (for non-overhand athletes), kettle bell swings and jumping/landing techniques. Strength: Thorough instruction, performance approach, a focus on core, and lower/upper body. Conditioning: Game ready preparation for all athletes.